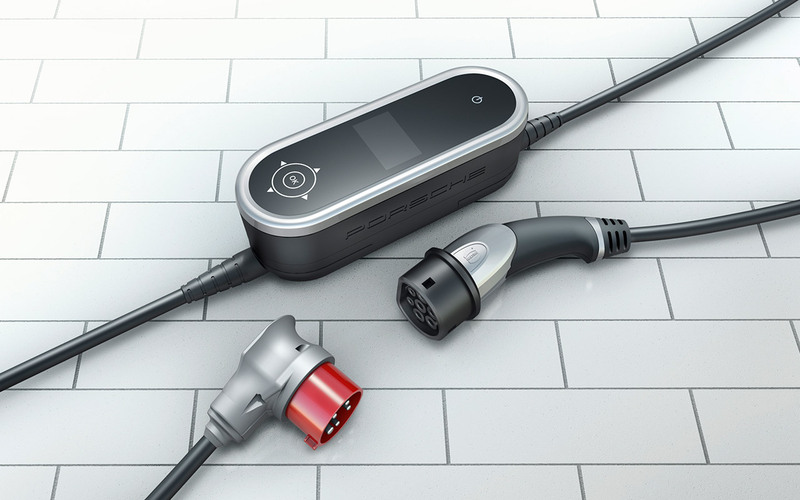 For convenient home charging, we recommend the installation of an industrial electrical outlet and use of the Charging Dock, which has been specially styled by Porsche Design and comes as standard. 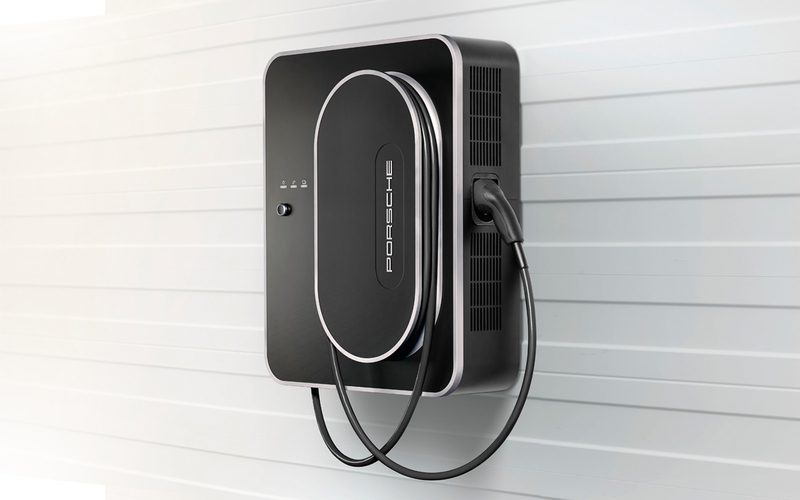 During AC charging, the alternating current of the mains supply is converted into direct current by the vehicle’s on-board charger for charging the traction battery. 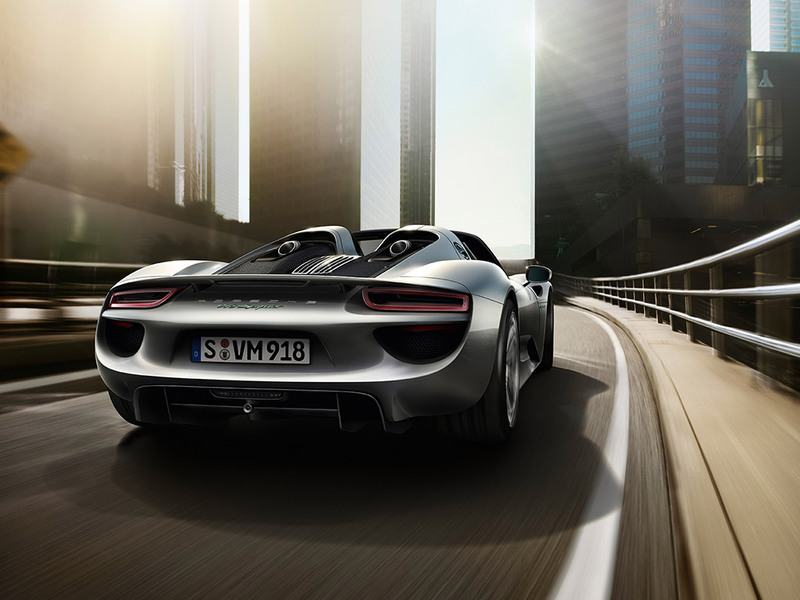 Fuel consumption* 918 Spyder (combined): 3.1 l/100 km; CO2 emissions (combined) 72 g/km. Electricity consumption 12.7 kWh/100 km. 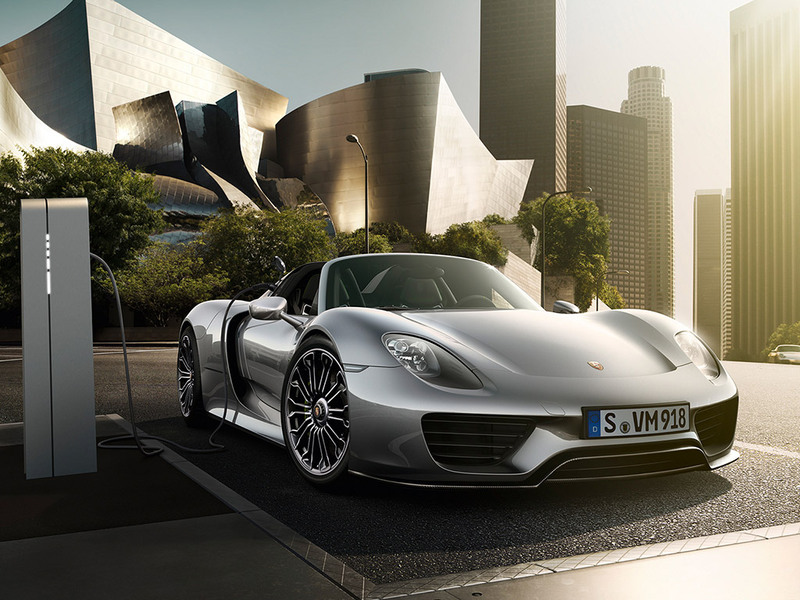 Fuel consumption* 918 Spyder with Weissach package (combined): 3.0 l/100 km; CO2 emissions (combined) 70 g/km. Electricity consumption 12.7 kWh/100 km. The two electric machines impress with an exceptionally high power output for their weight and size. 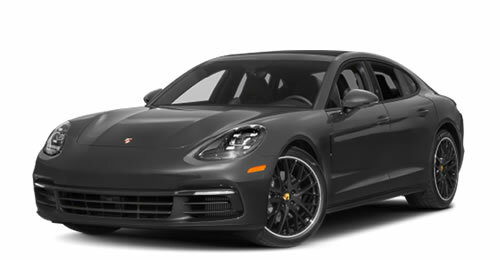 They offer a combined mechanical power output of over 210 kW (286 hp), with 95 kW (129 hp) produced at the front axle and 115 kW (156 hp) at the rear. 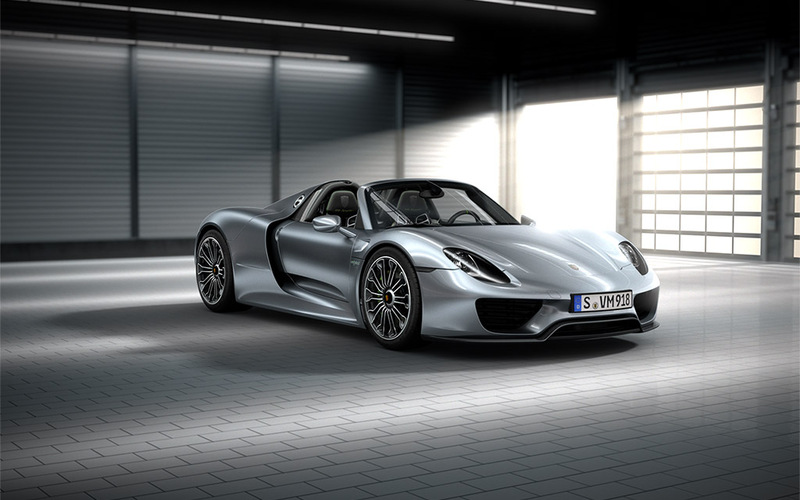 As a result, the 918 Spyder boasts the highest electric machine power output of any production hybrid. 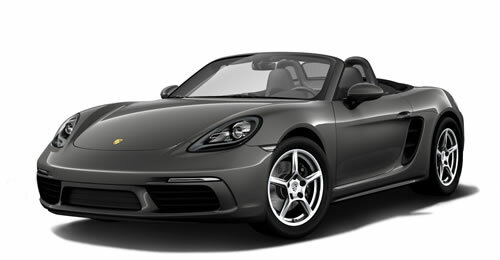 The all-electric top speed is up to 150 km/h. Another benefit of the electric drive is its incredibly fast response – for extremely fast acceleration from a standing start. 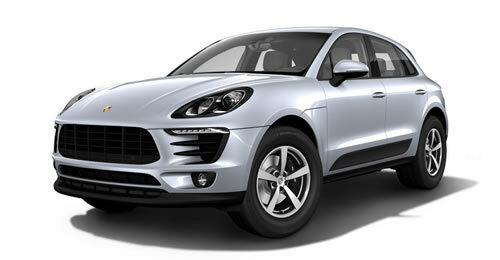 It enables a fast-acting electric all-wheel-drive function. For weight reasons, the electric machine at the front axle has a constant gear ratio. The result is an enormous amount of tractive power at the wheels even while the V8 high-revving engine is still operating in the low speed range. This effect is further amplified in the higher gears. This kind of arrangement means that the electric machine at the front axle reaches maximum rpm at 265 km/h and is then decoupled. Above all, however, electric machines can be used to recuperate energy, which can be used later to provide an additional e-boost. 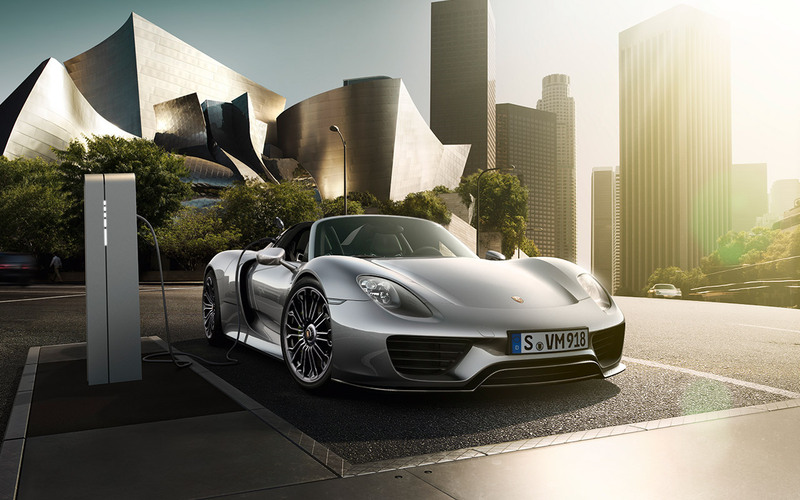 Fuel consumption* 918 Spyder with (combined): 3.0 l/100 km; CO2 emissions (combined) 70 g/km. Electricity consumption 12.7 kWh/100 km. 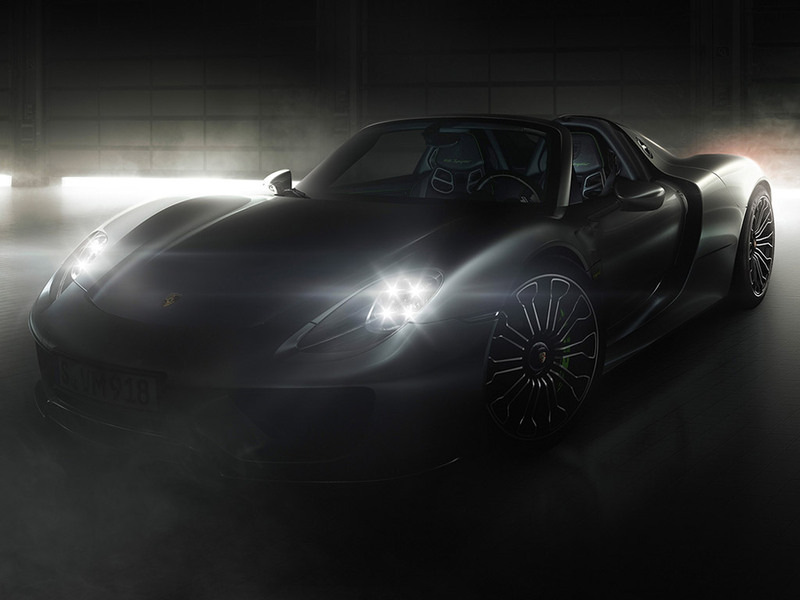 In view of an all-electric top speed of 150 km/h and a maximum torque of 475 Nm from a standing start, you will come to regard electricity in a completely new light. Thanks in part to recuperation, e-boost and the electric all-wheel drive system, electricity will be your new guarantee of driving pleasure. 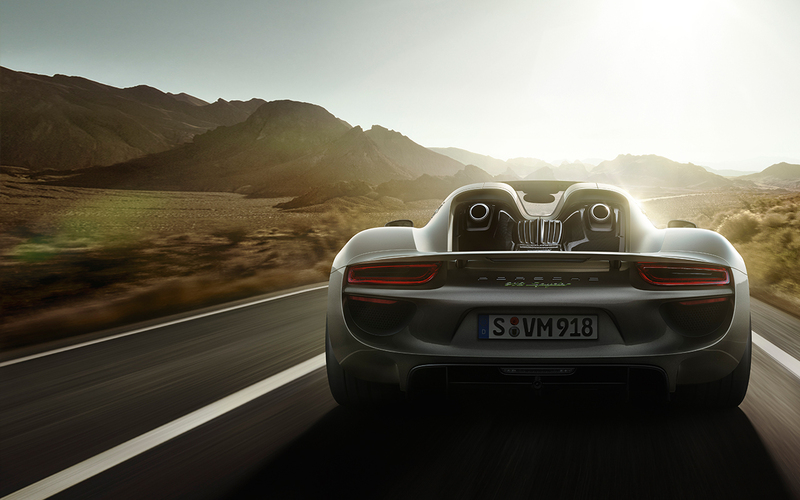 Delivering a fuel consumption of 3.3–3.0 litres per 100 km (depending on the vehicle variant) and with an all-electric range of 31 km (measured in the NEDC), the interaction of the three drive units in the 918 Spyder shows that performance is not always a question of brawn but brains too. The traction battery has a exceedingly high energy content, a very fast power output and according electric boost of the electric machines. One is in recuperation mode, whereby a portion of the vehicle’s kinetic energy is converted into electrical energy by the electric machines, for example under braking. 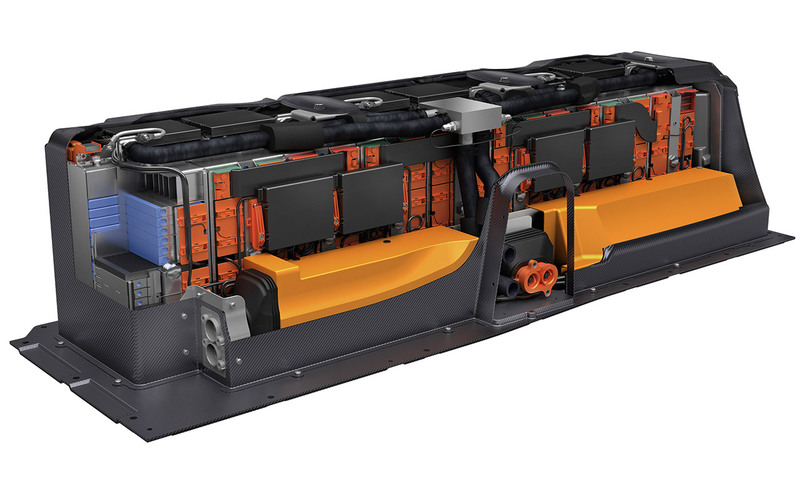 In a second scenario the combustion engine can drive the rear electric machine, which then operates as a generator and charges the traction battery in the process. The principle: load point displacement. The result: greater energy reserves for extremely fast lap times. Or for driving in purely electric mode. During the series production development process, our engineers were unhappy to accept that the particularly effective exhaust concept used in motorsport could not be transferred to a road vehicle, or at least to a super sports car. 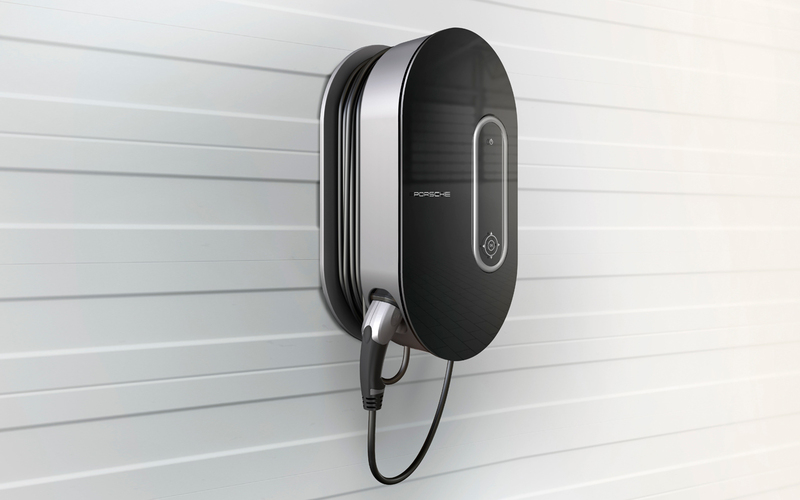 Another welcome advantage in terms of the technical requirements of a plug-in hybrid is that the heat of the combustion engine is dissipated more rapidly from the vehicle. 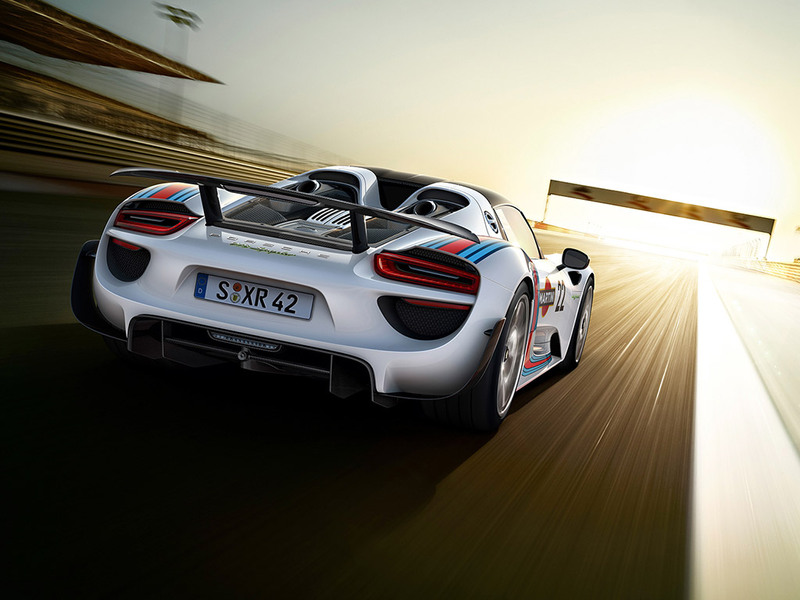 Last, but not least, the top pipes on the 918 Spyder also serve to emphasise its pure racing character. Let’s just call it a pleasant side effect. 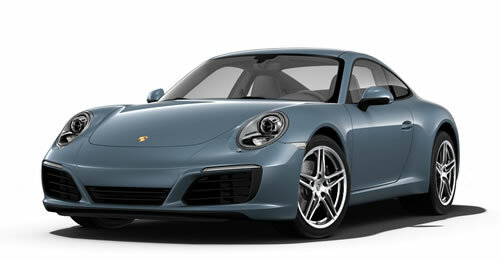 For the refined version of Porsche Doppelkupplung (PDK) shift times and shift programmes have been further optimised. 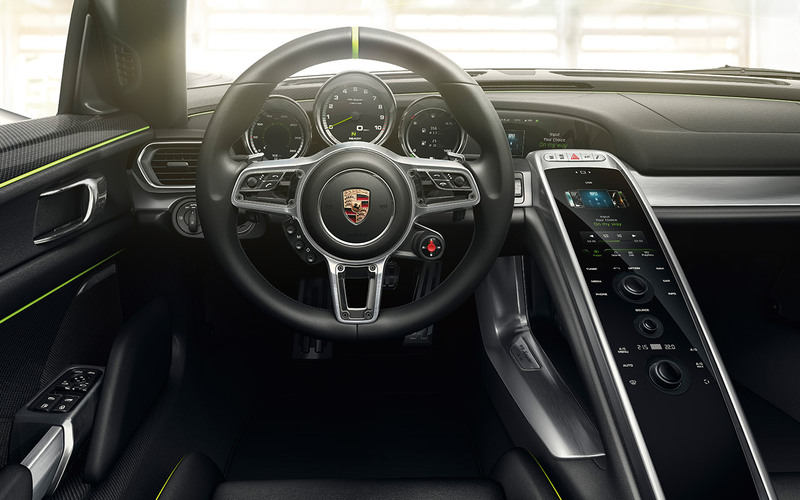 PDK changes gear automatically, but you can still take manual control using the gearshift paddles on the sports steering wheel. Gear changes take place in milliseconds with no interruption in the flow of power. Just like in motorsport. 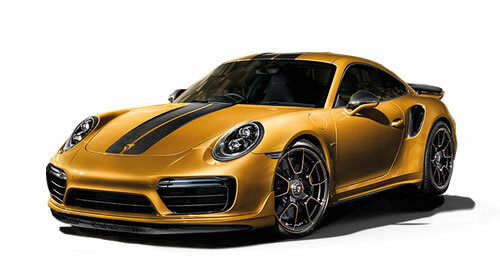 Thanks to a power output of more than 447 kW (608 hp), the high-performance unit attains the level of a racing engine. That’s what we call motorsport DNA. Its low weight of around only 135 kg and its low position provide the optimum prerequisites to extremely dynamic driving performance and ultra precise power delivery – on the racetrack and on the road. mention a flat, lightweight crankshaft. All of which means weight down, power up. 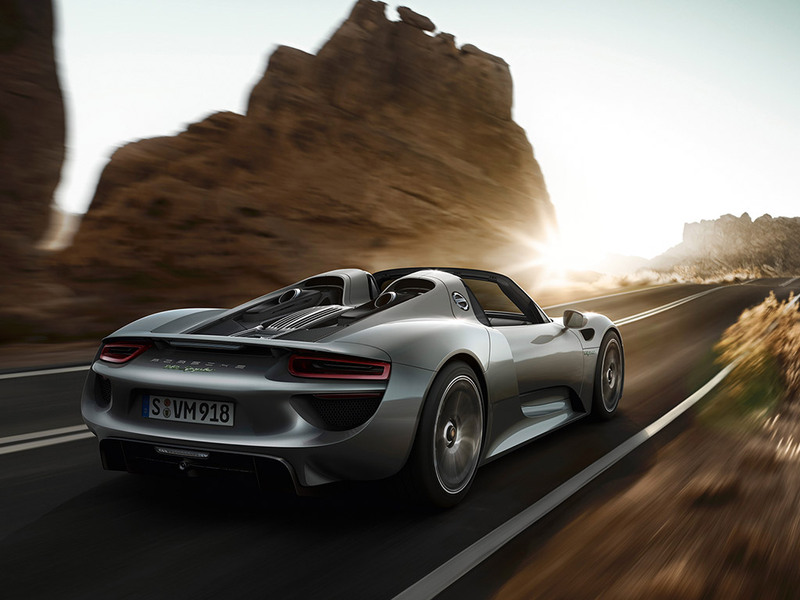 The 918 Spyder can be driven at the rear axle by the combustion engine, by the rear electric machine alone or by both together. Depending on the selected drive strategy, an additional electric machine will be activated to drive the front axle. 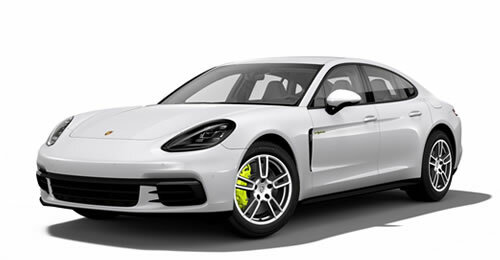 The distribution of power between the axles is automated and it is regulated by a new type of drive control system, namely Electric Porsche Traction Management (ePTM). 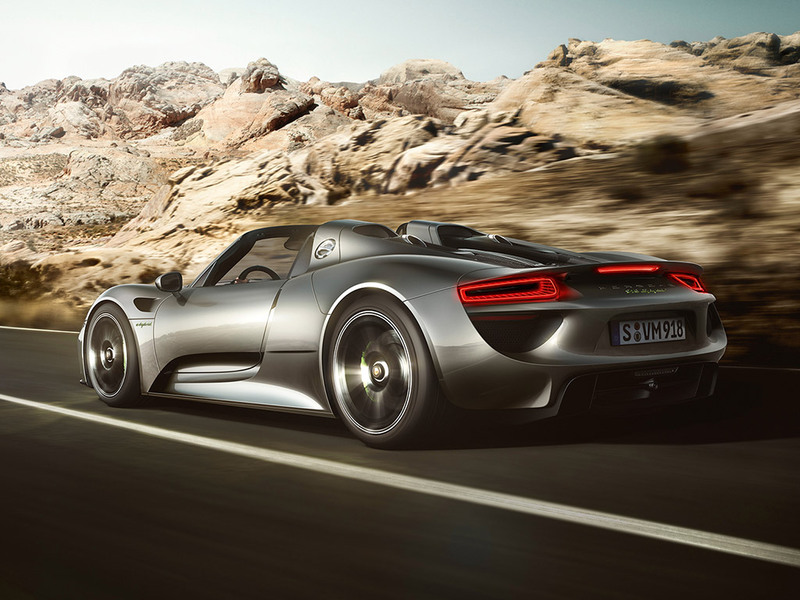 The 918 Spyder attains exceptional overall performance values using three sources of drive: a total system power output of more 652 kW (887 hp) and a total system torque of more than 800 Nm in the 800 to 5,000 rpm range. 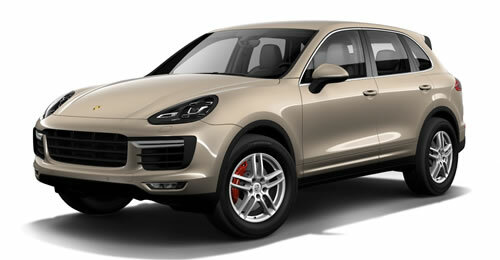 In 7th gear, the result is a maximum crankshaft torque of over 1,280 Nm. For you, that means exceptionally high torque even at low engine speeds, harmonious power development over the full engine speed range and a very high maximum engine speed of 9,150 rpm. Four different driving modes plus a Hot Lap configuration. They regulate the interaction of the combustion engine and electric machines as appropriate to the driving situation and driving style. You can still intervene at any time, but you don’t have to. 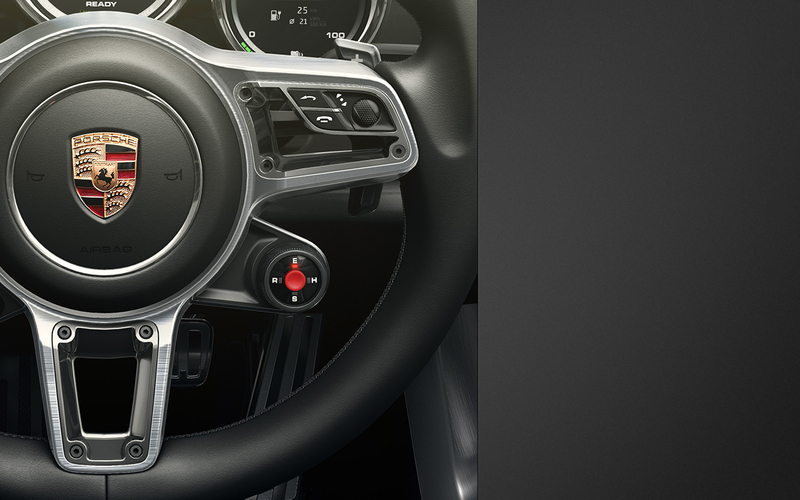 The driving mode – and adrenaline level – of your choice is activated manually by means of the map switch on the sports steering wheel. 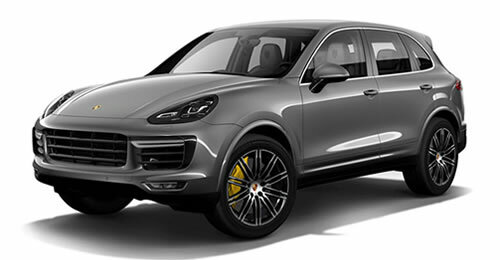 The intelligent hydraulic system fades between the electric brakes and the hydraulic brakes of the PCCB brake system – a process imperceptible to the driver – and ensures constant feedback in the brake pedal in every driving situation as you would rightly expect from any Porsche. The domed roof is made from carbon and can easily be removed and stored away in the luggage compartment underneath the front lid. There has been an evolution in space right at the front, too. 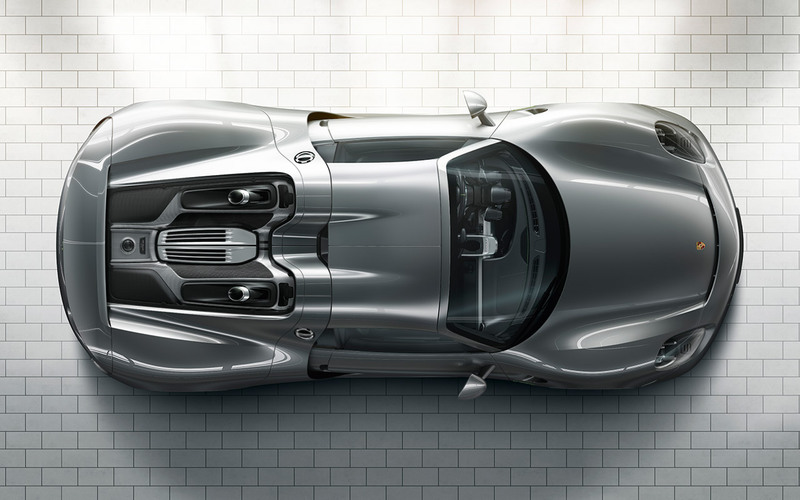 The luggage compartment of the 918 Spyder has a capacity of 107 litres. Even when both roof halves are stowed inside, there is still room for items of luggage. 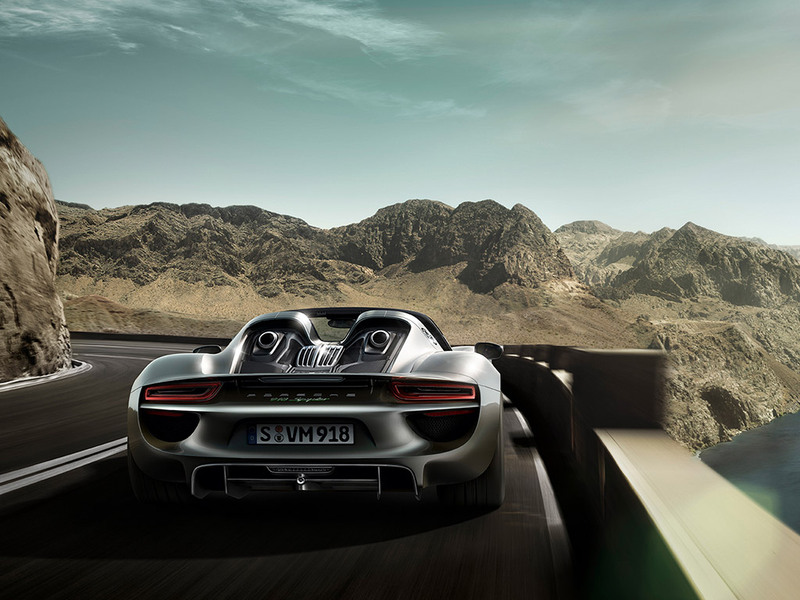 The 918 Spyder has a front-to-rear axle load distribution optimised for dynamic performance (43 % front, 57 % rear). Consistent lightweight construction keeps the overall weight low. Together, these characteristics help to provide extraordinary agility, a high level of driving safety and stable handling, especially when cornering. A double-wishbone axle is installed at the front. At the rear is a multilink axle designed in accordance with our refined version of the LSA concept (Lightweight, Stable, Agile) and equipped with electric rear-axle steering. 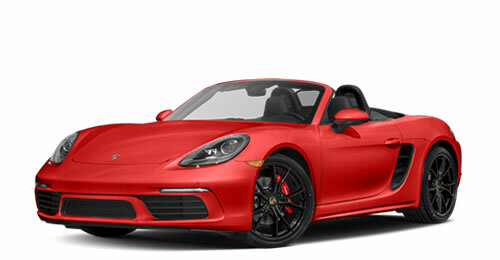 Both axles incorporate a race-proven wheel bearing concept with a weight- and performanceoriented wheel location arrangement derived directly from the RS Spyder. 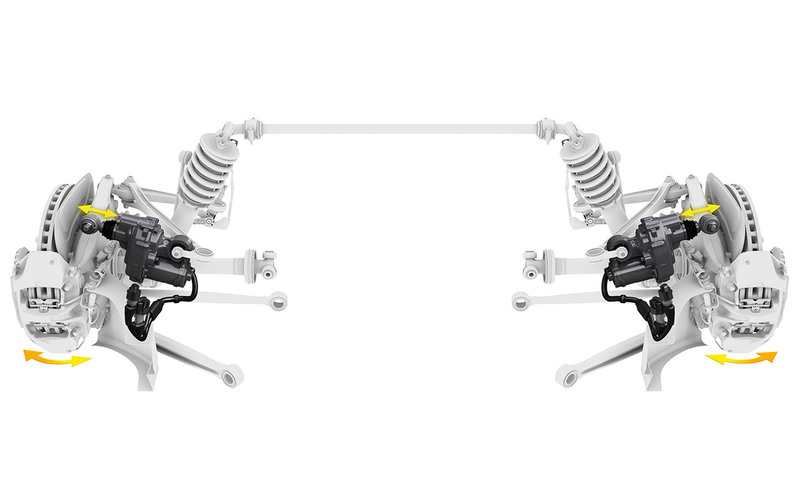 The connection established between chassis parts and the monocoque and unit carrier is particularly stiff thanks to the use of uniball joints from motorsport. 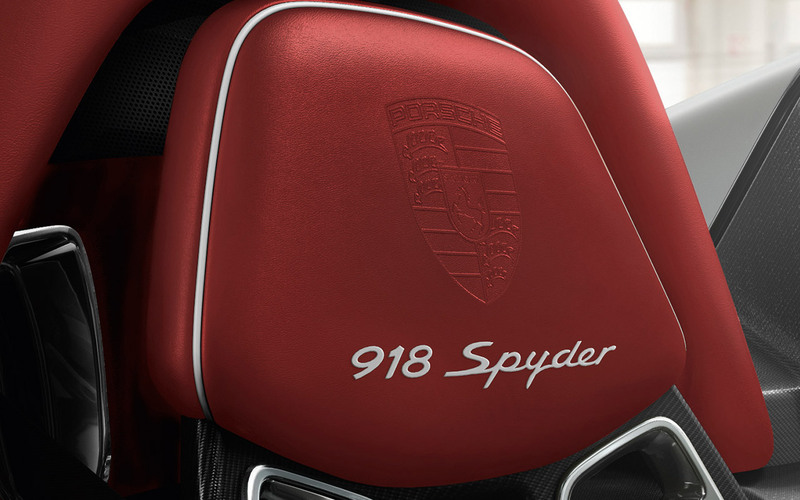 In the 918 Spyder, these high-precision links are fitted to all steering arms on the front and rear axles to ensure a sensitive and direct response of chassis components, including the steering, and to deliver superior driving precision. 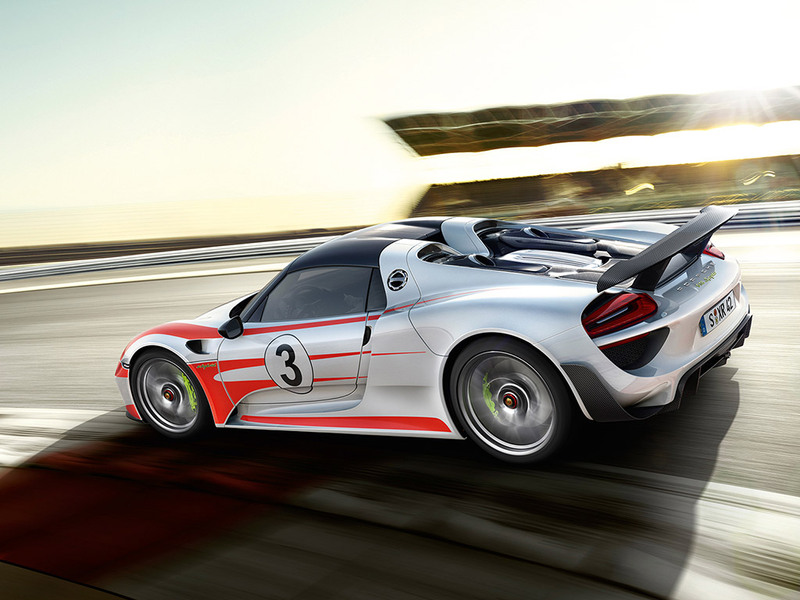 At the rear, aerodynamic performance is enhanced by the threestage extendable rear wing. In Race mode, the already fully extended wing is lifted a little further to ensure maximum downforce at the rear axle. 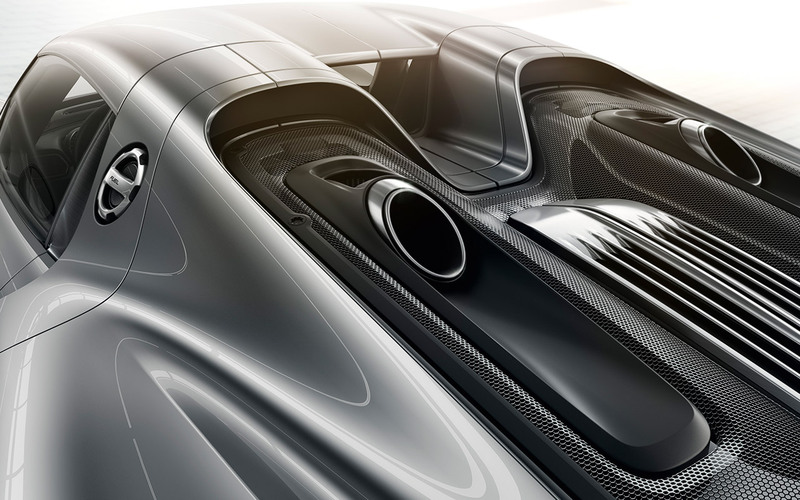 At the same time, the front diffusers in the forward part of the underbody are fully opened. 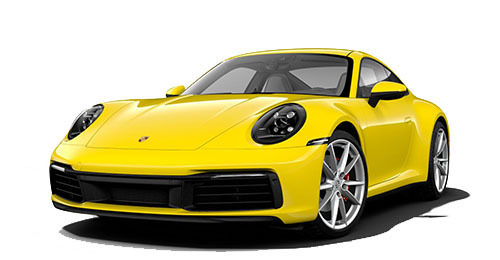 The negative pressure produced increases downforce at the front axle and thereby also acts to correct the balance of the vehicle on the racetrack. 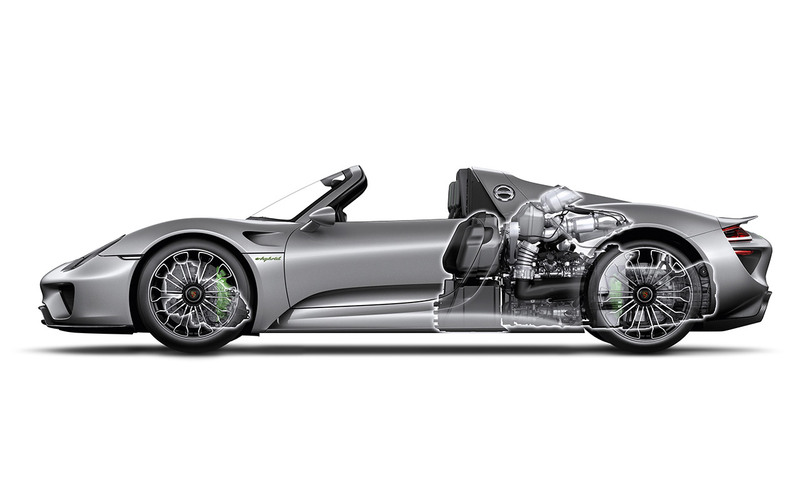 A high-end drive system meets a high-end lightweight construction. 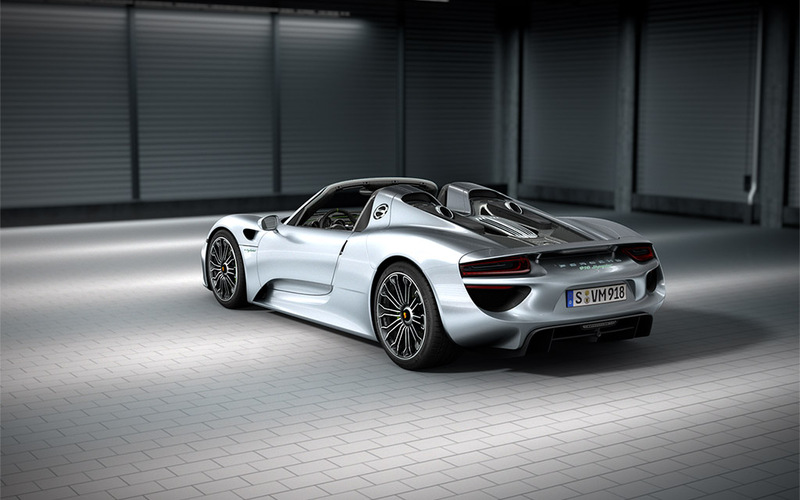 The chassis of the 918 Spyder is built in two parts, with a monocoque and unit carrier in carbonfibre reinforced plastic (CFRP). As is conventional in motorsport, the vehicle structure remains drivable without an outer skin. 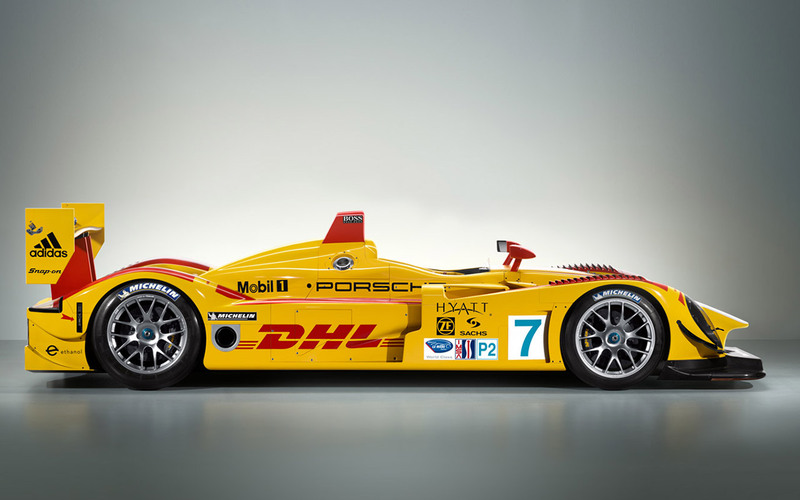 That is why it is known as a rolling chassis concept. It has the advantage that all components can be optimally designed separately from each other: the load-bearing parts in terms of stiffness and weight, and cladding parts in terms of aerodynamics and visual appeal. 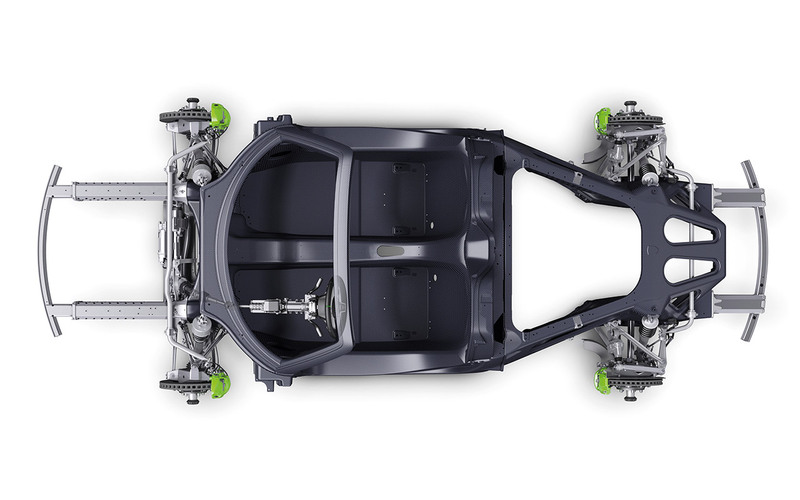 The monocoque and the unit carrier are formed from a multitude of made-to-measure cuts of carbon-fibre cloth, the quantity and arrangement of which have been optimally matched. The result is very low weight but an extremely high degree of torsional strength, which creates the best prerequisites to outstanding driving dynamics, excellent performance and superior handling precision. 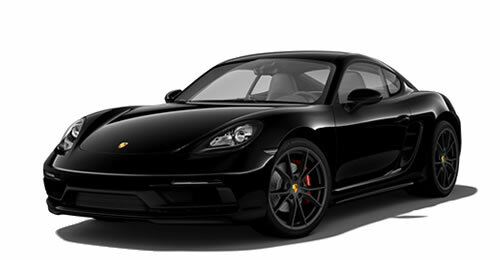 Even the outer skin is made almost completely of very lightweight carbon-fibre reinforced plastic (CFRP), providing the ideal basis for a very low weight-to-power ratio. In other words, it represents a fusing of form and function. 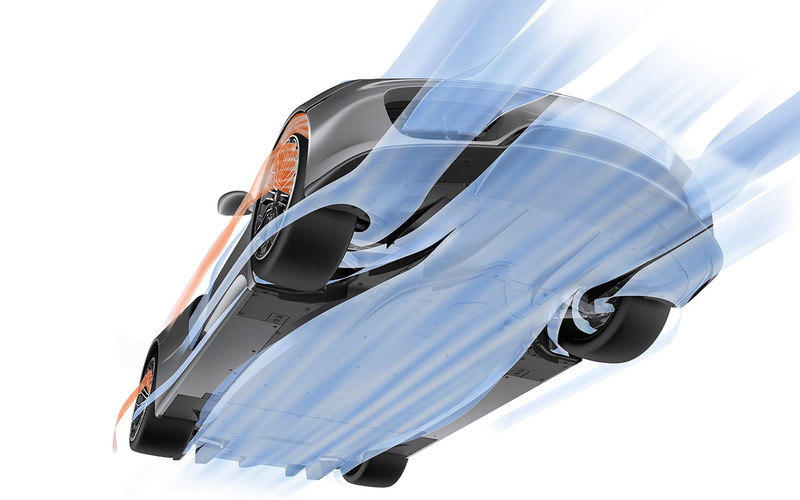 During low-speed manoeuvres, the system steers the rear wheels in the opposite direction to that of the front wheels. 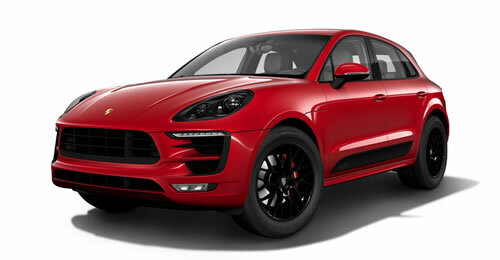 This has the virtual effect of shortening the wheelbase for perceptibly more dynamic steering into corners. The turning circle is reduced, which makes it easier to manoeuvre. 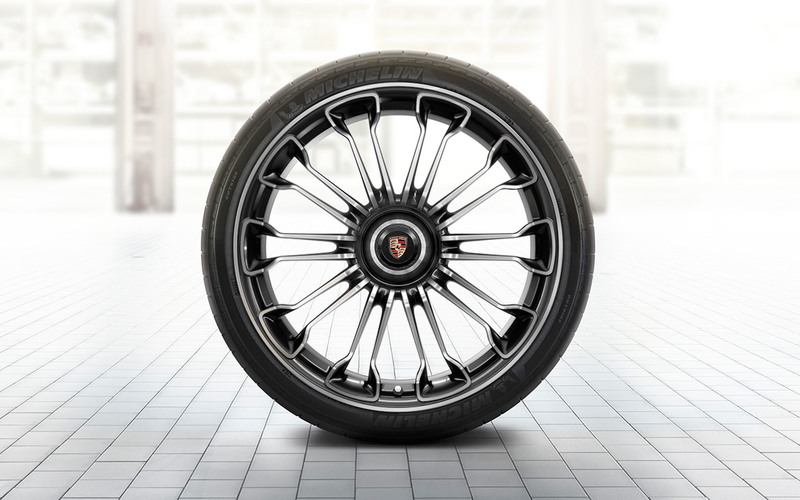 During high-speed manoeuvres, the system steers the rear wheels in the same direction as that of the front wheels. 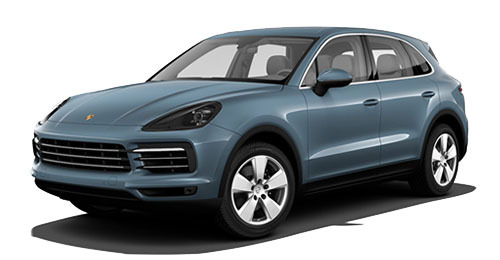 This virtual extension of the wheelbase helps to increase driving stability. Kerbs, ramps, car park entrances or race car transporters. These hurdles no longer pose an insurmountable challenge. The optional lift system at the front axle raises the body by approximately 30 mm at the push of a button in the centre console. 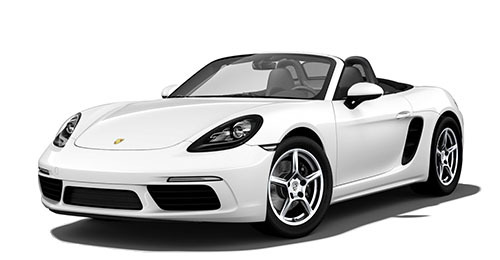 The function is available with the vehicle stationary or travelling at a speed of up to approximately 50 km/h. 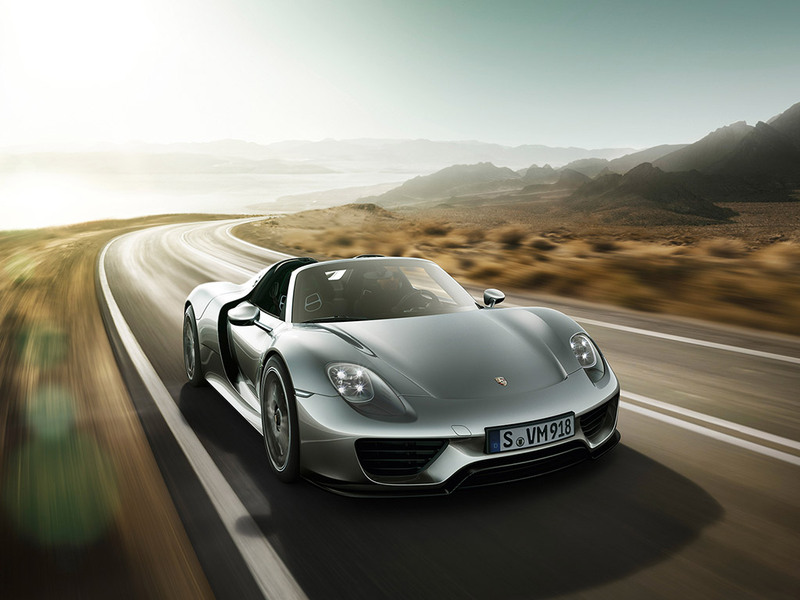 Fuel consumption* 918 Spyder (combined): 3.1 l/100 km; CO2 emissions (combined) 72 g/km. Electricity consumption 12.7 kWh/100 km. 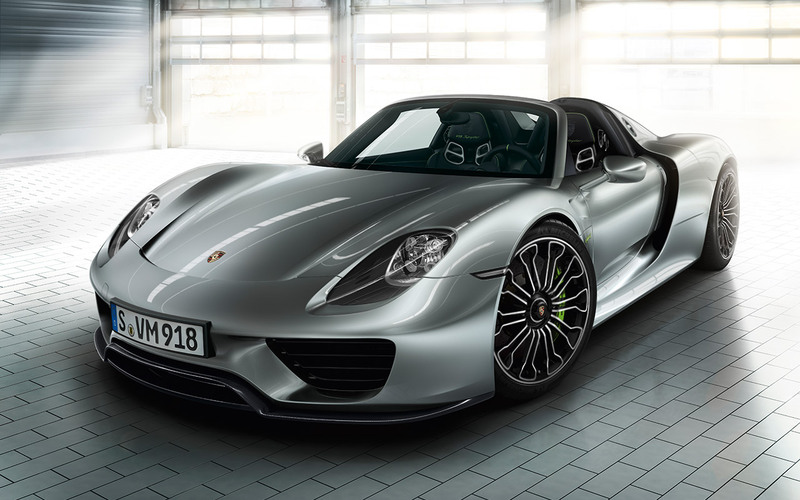 Fuel consumption* 918 Spyder with Weissach package (combined): 3.0 l/100 km; CO2 emissions (combined) 70 g/km. Electricity consumption 12.7 kWh/100 km. 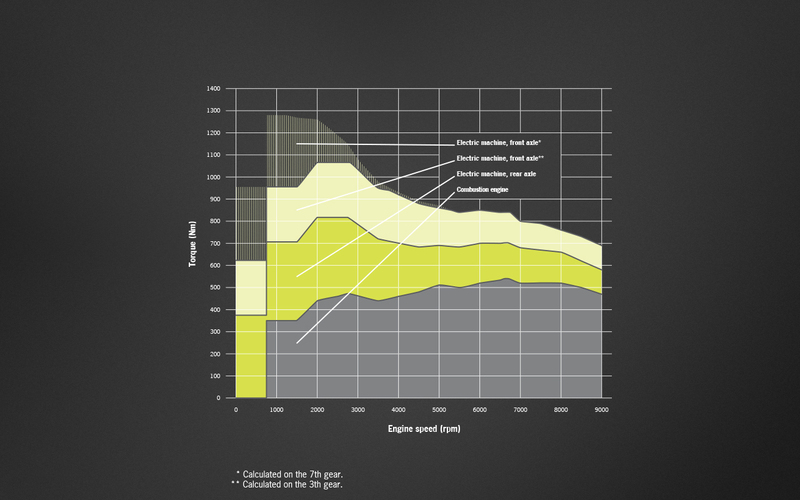 * These data were obtained using the Euro 5 measurement method (715/2007/EC and 692/2008/EC) in the NEDC (New European Driving Cycle) with standard equipment. 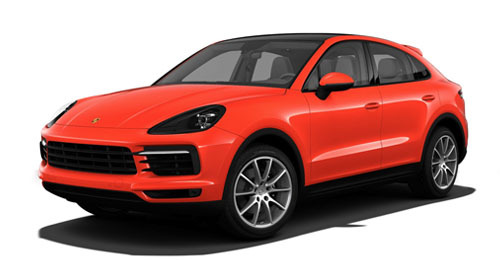 The information does not refer to an individual vehicle and is not part of the offer, but is simply provided so that comparisons can be made between different types of vehicle. 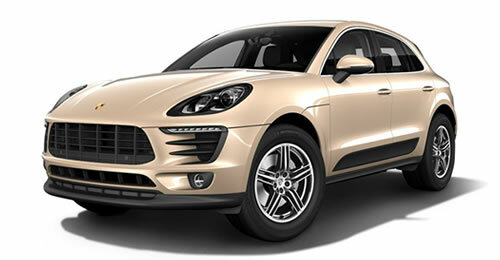 Further, up to date information on the individual vehicles can be obtained from your Porsche Centre. 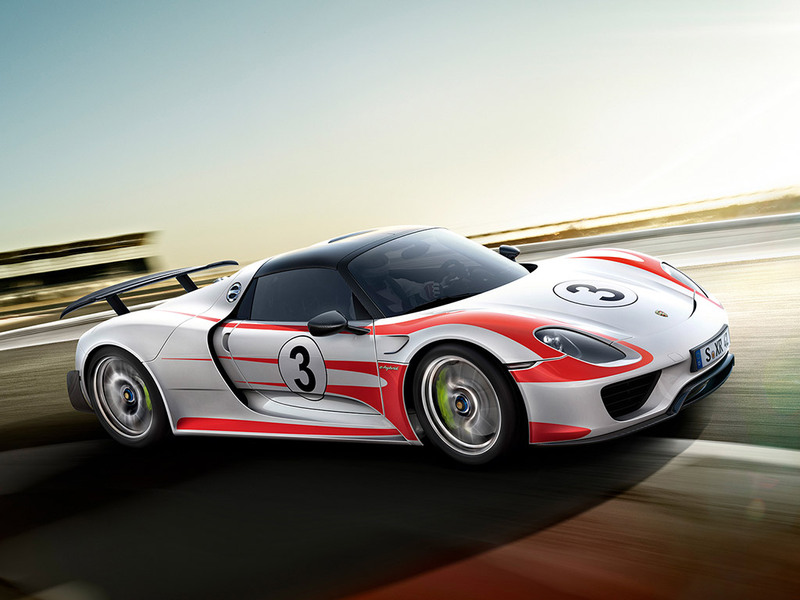 The brake system of the 918 Spyder had to be a proven racetrack performer of the kind fitted to cars participating in the Porsche Mobil 1 Supercup, for example. The brake discs have a diameter of 410 and 390 mm at the front and rear, respectively. 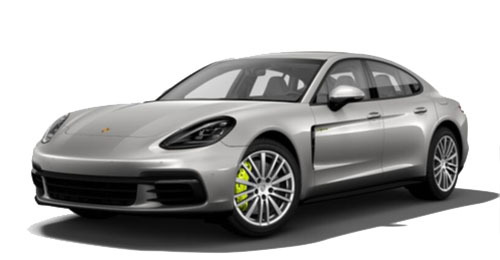 The six-piston monobloc aluminium fixed brake calipers at the front axle and four-piston units at the rear, all painted in Acid Green, ensure a powerful and, above all, constant braking effect. 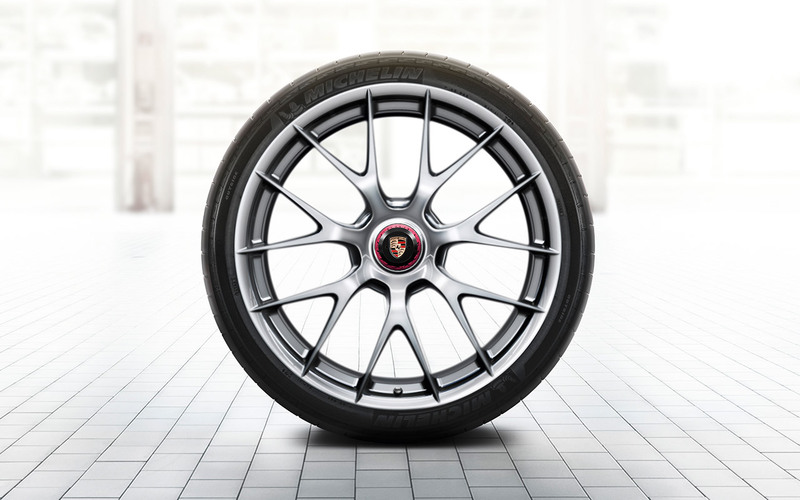 The 918 Spyder magnesium wheel is available on request – and is fitted as standard to the 918 Spyder with Weissach package. The forged one-piece magnesium wheels are especially light and yet extremely robust. 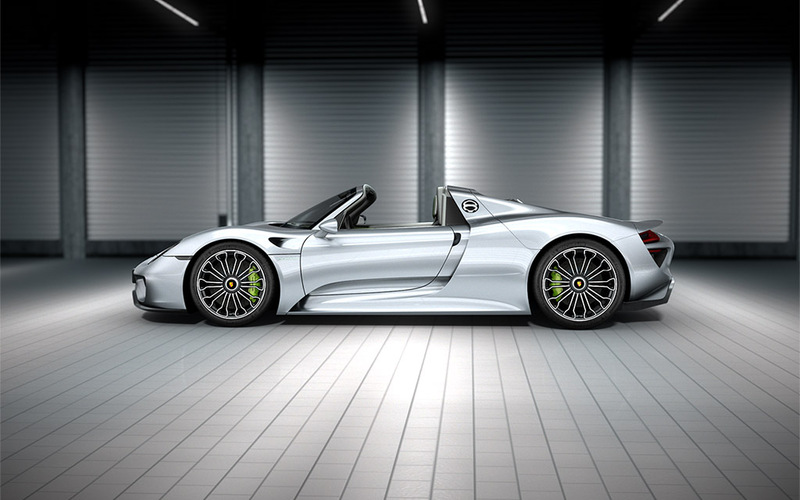 The design, borrowed from the RS Spyder, permits optimum material usage. By comparison with the standard wheels, they offer a weight advantage of approximately 14.9 kg. Both wheels have the characteristic central locking device from motorsport in common – a crucial advantage when the timer on the racetrack is ticking. 918 Spyder has inherited the distinctive B-pillar from the RS Spyder. 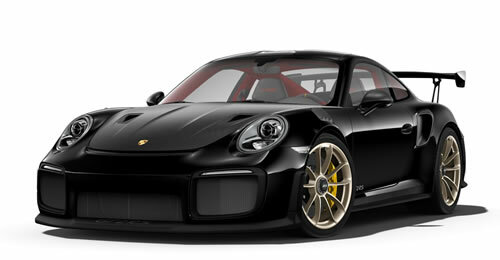 With proportions emblematic of a race car, with concave-to-convex transitions and precise edges. 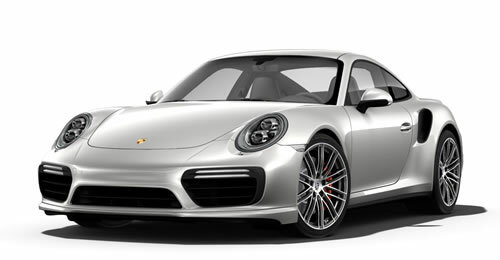 The overarching front bonnet extends over the distinctive wings and emphasises the width of the vehicle. 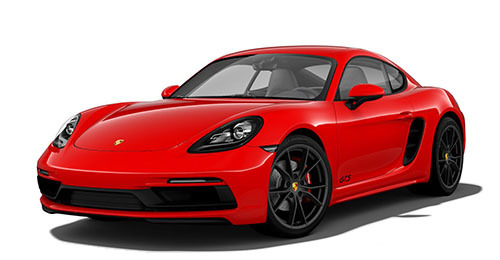 It is flanked by the vertically aligned LED headlights. Underneath these are two large air intakes, which give the front a resolute appearance and help to provide sufficient cooling. The LED taillights are shaped three-dimensionally. Above them sits the extendable rear wing. 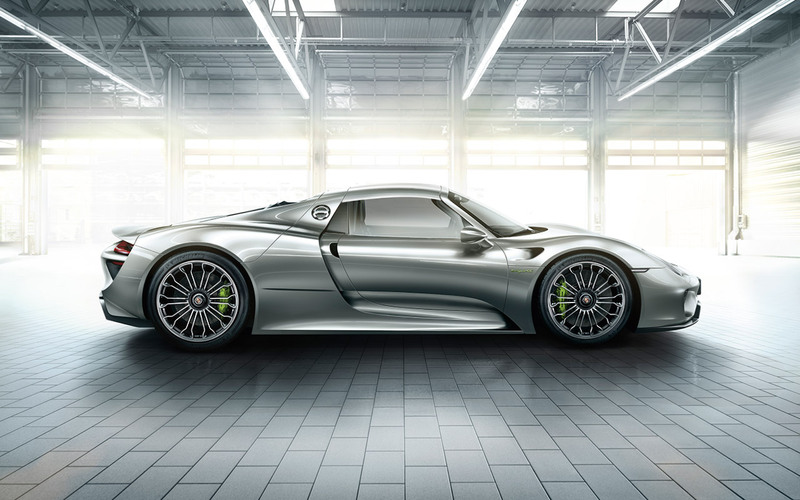 Retracted, it reduces air resistance and also enhances the puristic impression that the 918 Spyder creates. 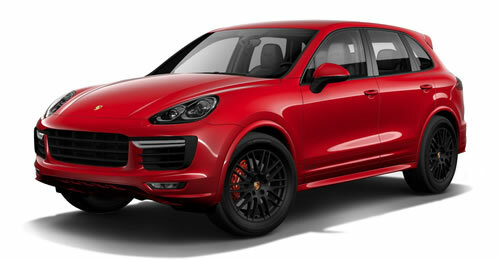 Extended, it delivers sportiness and downforce on every level. 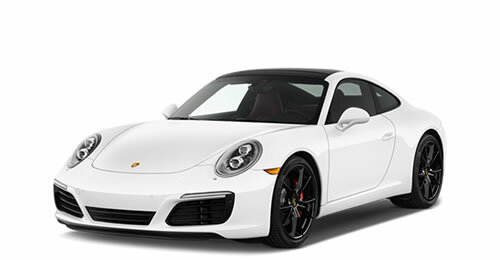 The sound of a Porsche is a unique characteristic, and we’re not referring only to the engine. 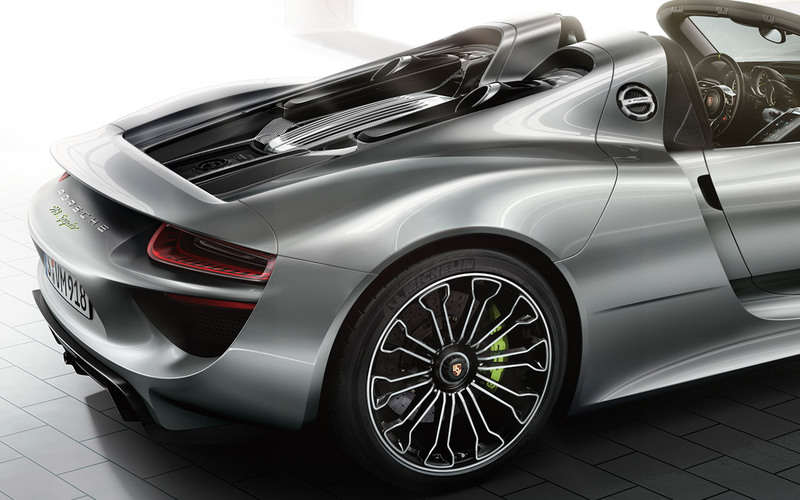 So when we had to consider which sound system should be integrated into the 918 Spyder as standard, we decided to collaborate with Burmester®, one of the most respected manufacturers of highend audio equipment worldwide. 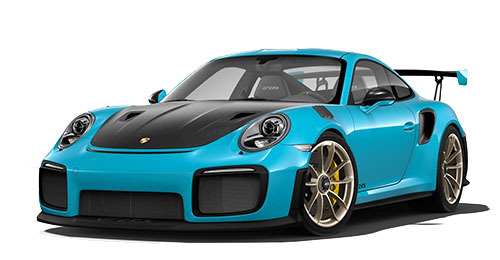 The system features a total of 11 ideally positioned loudspeakers, each one specially developed for the lightweight construction requirements of a super sports car. A total output of 500 watts ensures an unequalled, absolutely natural and richly textured spatial sound, even at top volume. Given the total weight of just 4 kg for all components, the result is all the more stunning. Cue the applause. 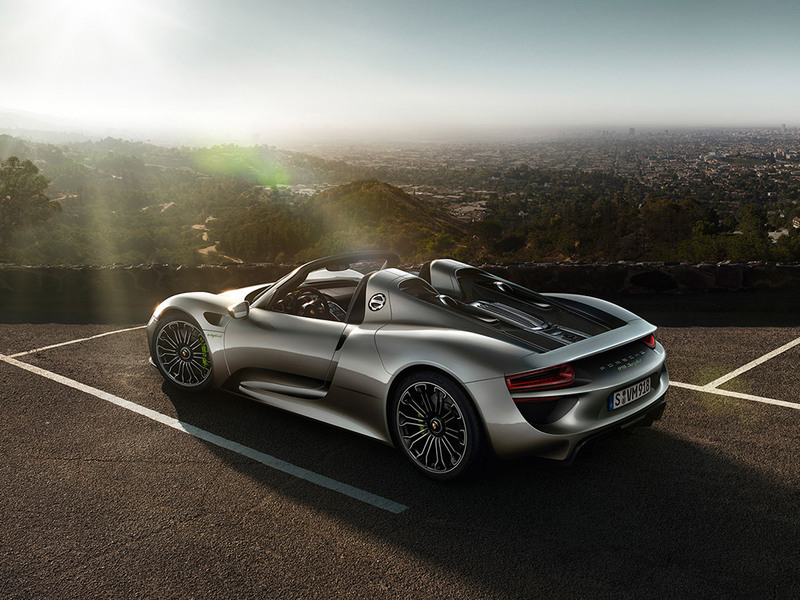 For the 918 Spyder, Porsche Car Connect is enhanced with a comprehensive range of e-mobility services tailored specifically to this vehicle concept. 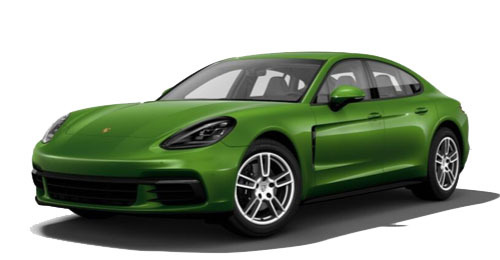 Features include an overview of the current battery charge state and available all-electric range as well as the ability to manage the charging process. 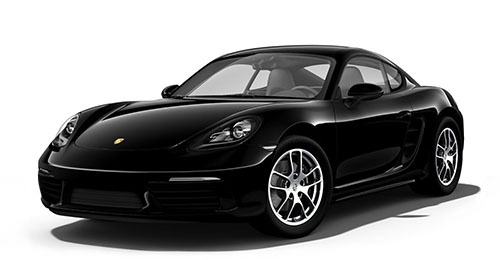 Porsche Car Connect also includes the Porsche Vehicle Tracking System (PVTS). It enables the remote location of a stolen vehicle across most of Europe. A state-of-the-art control concept with smartphone-style touch and gesture recognition, character recognition (including Chinese) and three rotary pushbuttons provide intuitive operation of displays and control functions. Displayed content can be customised to your own preference. Embedded in the exquisite centre console, the touch surfaces enable fast navigation and direct operation of functions relating to comfort and convenience, air conditioning, car settings and Porsche Communication Management (PCM), which is integrated as standard. PCM information is shown in the central 8-inch information display. This is housed in the dashboard behind a panoramic shroud to minimise reflections for optimum readability even on the move. With touchscreen operation and the information display, we have managed to optimise ergonomics and readability. 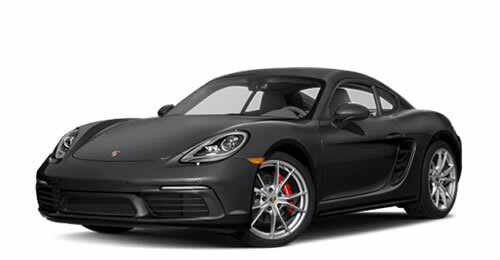 Additional safety features include the headrests which form an integral part of each seat, an energyabsorbing steering column, threepoint seat belts with pretensioners and force limiters and energy-absorbing elements in the dashboard. There is a choice between three colour schemes: Onyx Black with piping in Acid Green or Silver and a combination of Garnet Red with silver-coloured piping. In the authentic leather interior package available in four colours, the leather features retain their original matt finish to preserve their natural structure, grain and irregularities. 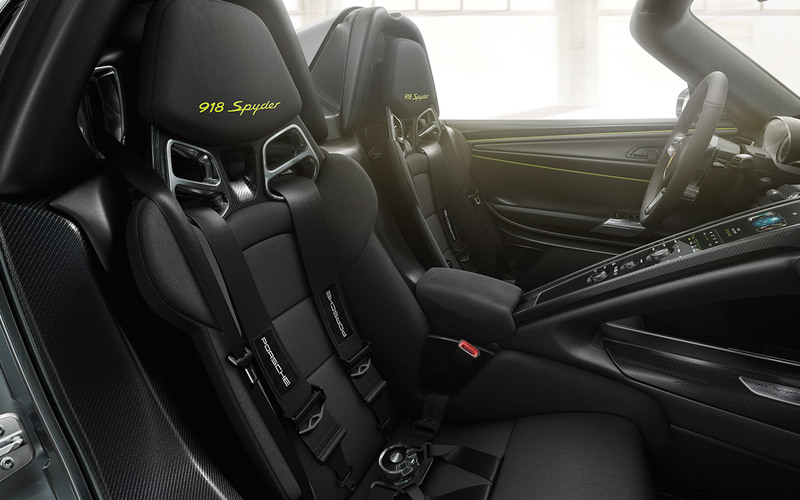 On request, a carbon interior package is available in which interior features are finished in carbon instead of brushed aluminium in order to give further emphasis to the car’s sporty nature. 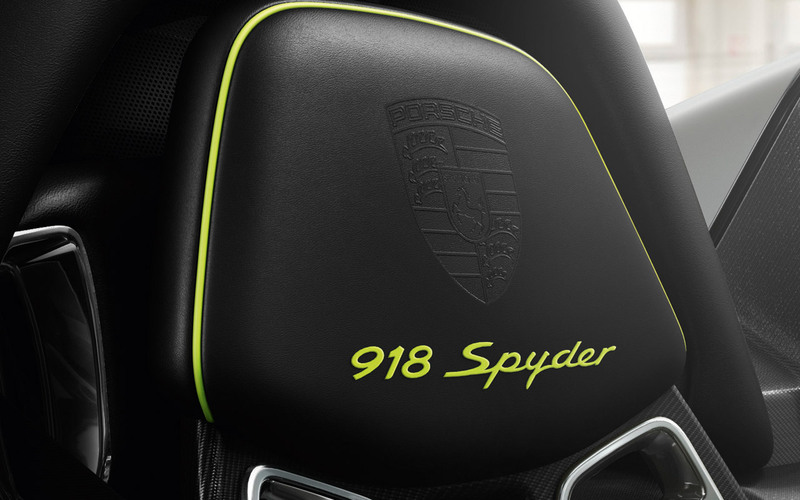 These specially developed lightweight bucket seats in carbon-fibre reinforced plastic (CFRP) feature electric height adjustment (optional for passenger seat) and offer an extraordinarily low seating position for any super sports car. The contouring of the side bolsters and reinforced shoulder support are especially characteristic and serve a functional purpose. 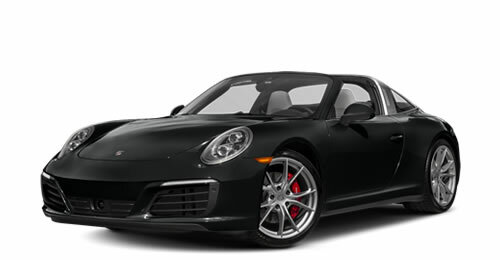 Porsche racing cars have been winning the hearts of countless fans ever since 1948, and that’s been thanks in no small measure to their incomparable exterior designs. 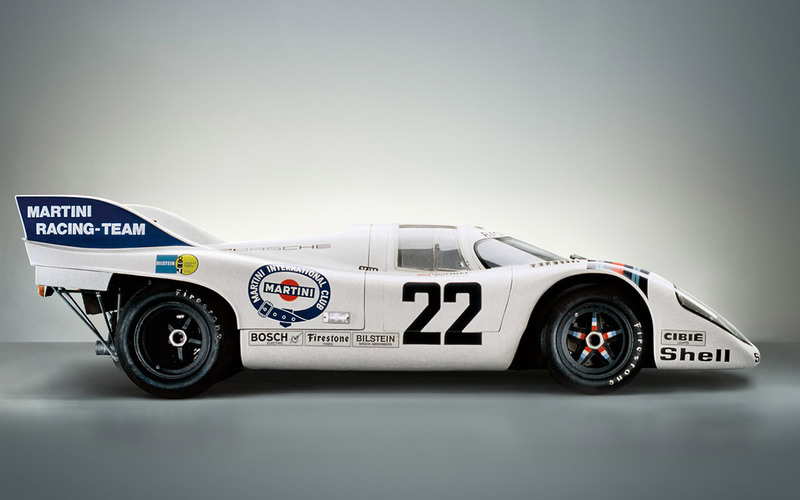 The racing cars of Porsche MARTINI RACING have been written into motorsport history since 1970 and established themselves as design icons. 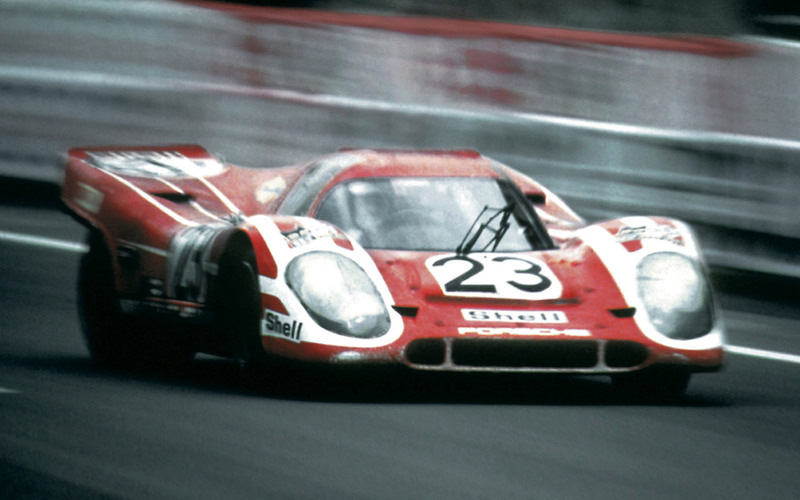 One of the most famous 917 colour combinations is red and white. 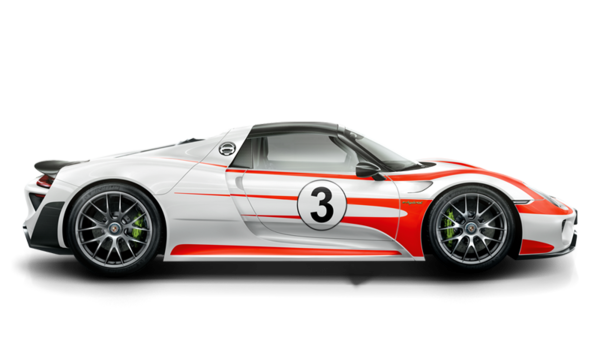 With the optional Salzburg Racing design, your 918 Spyder with Weissach package wears its colours with pride. 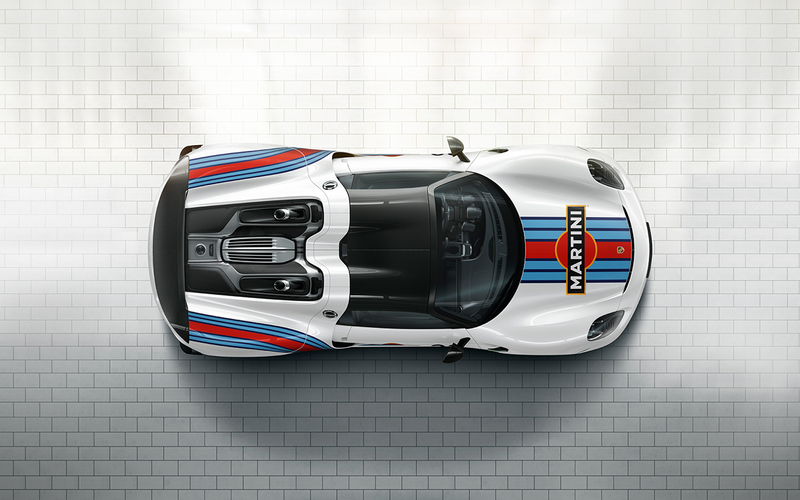 For legal reasons, the MARTINI RACING design package is not available in some countries. We would also like to point out that importing a vehicle with Martini Racing design or moving a vehicle with Martini Racing design on public roads in these countries could have legal consequences. 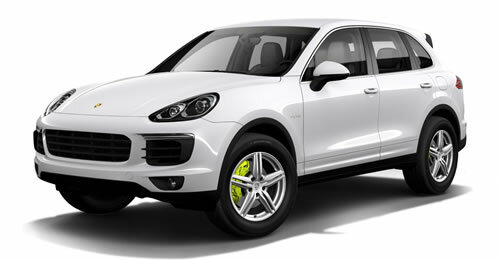 For further information, please consult your Porsche Centre. The technical platform is lightweight construction, vigorously pursued down to the smallest detail. Our engineers have yet again scrutinised every single nut and bolt, and have pushed the limits of possibility even further with measurable success: the additional weight reduction of around 36 kg has helped to boost performance and save crucial seconds on the track. On the road, it’s one of a kind. 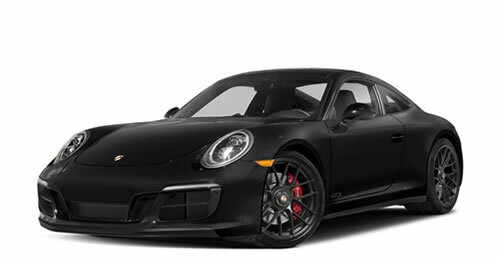 In motorsport, it’s the rule: instead of conventional paintwork, the car is given a full-body film wrap (matt black) applied directly to its carbon-fibre (CFRP) structure. 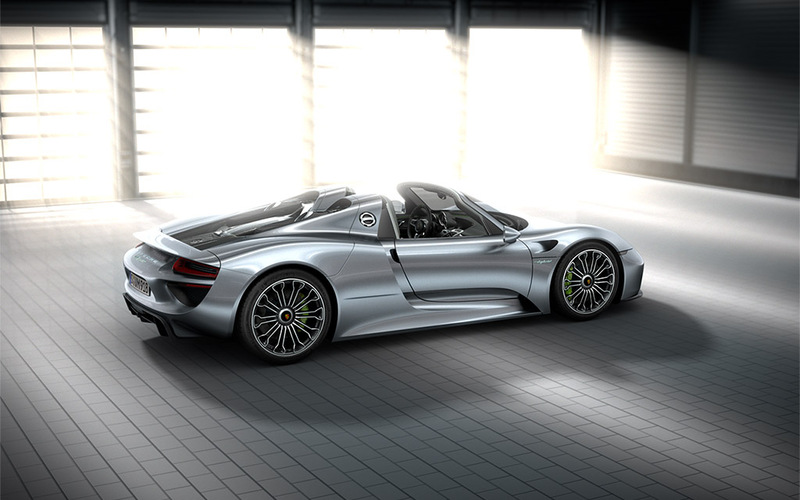 918 Spyder finished in a solid paint colour of your choice. 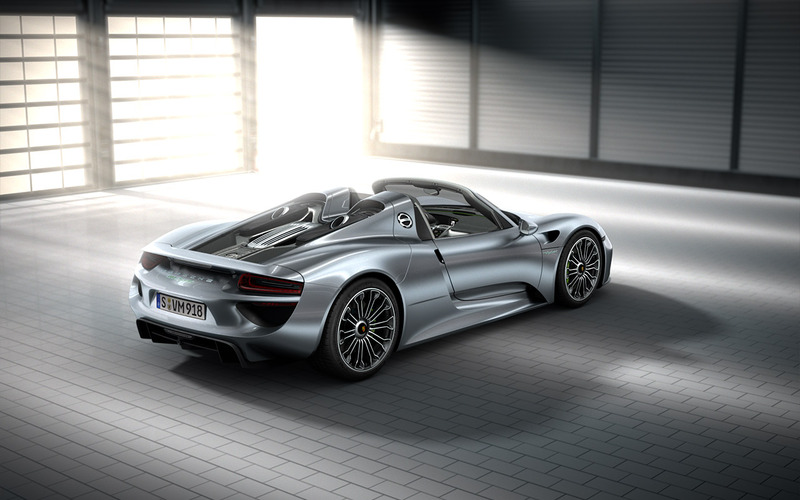 Some things that will always be the hallmark of the 918 Spyder with Weissach package: motorsport-derived contrasting elements with a carbon-weave finish. 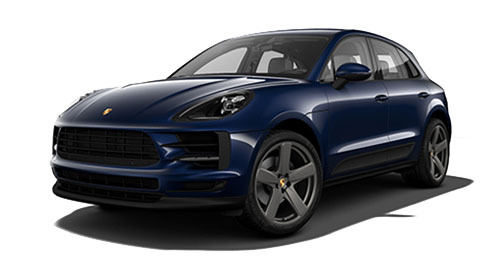 Purposeful lightweight construction delivers purposeful performance, as epitomised by the roof, rear wing, exterior mirrors and windscreen surround. 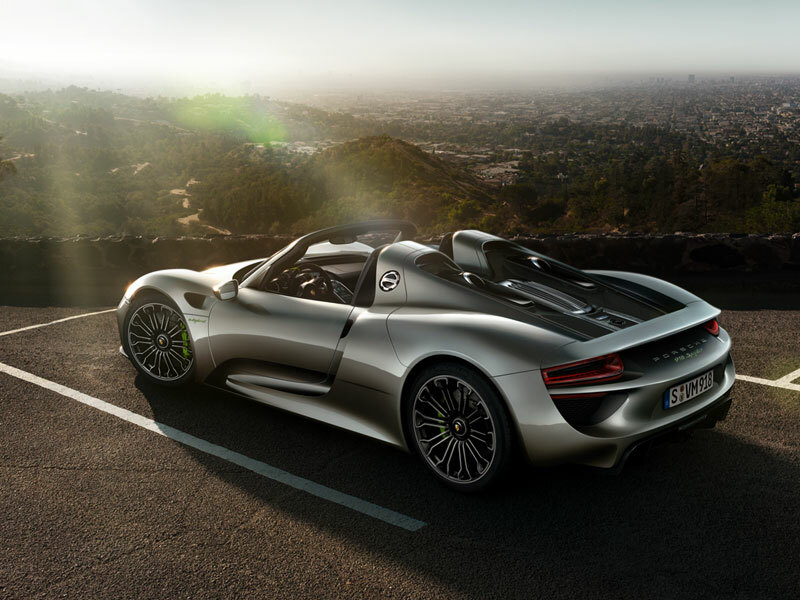 To improve aerodynamics, the 918 Spyder with Weissach package is equipped with additional carbon attachment parts, such as aeroblades on the rear end and aeroflaps in the air outlets behind the front wheels. 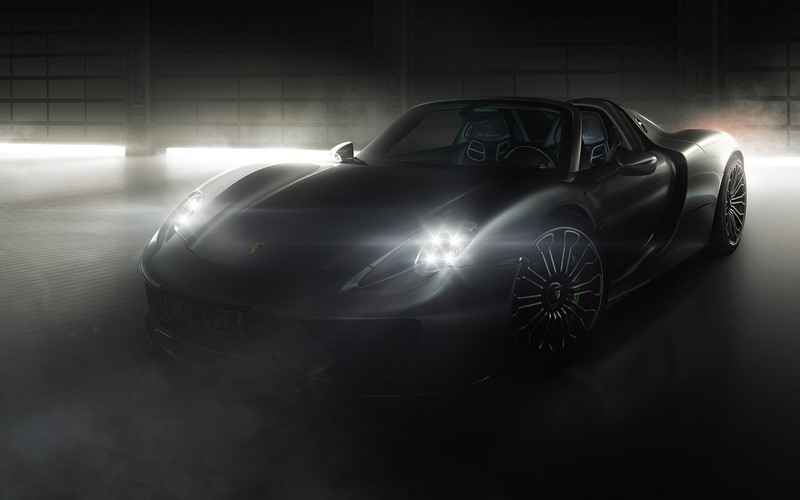 With the 918 Spyder magnesium wheel, you needn’t hide away in the pit. Derived from the RS Spyder, it delivers a weight advantage of around 14.9 kg per vehicle compared with the standard wheel. The central locking device with opposite thread directions on each side of the car is a characteristic feature of motorsport. Here’s another: with 918 Spyder magnesium wheels, the wheel bolts are blue on the right of the car and red on the left. 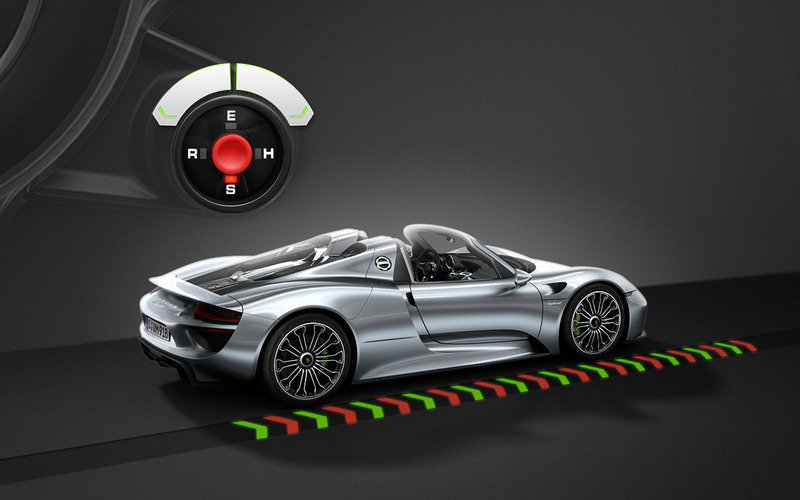 A fine difference, but one that shows how close to the racetrack the 918 Spyder really is. 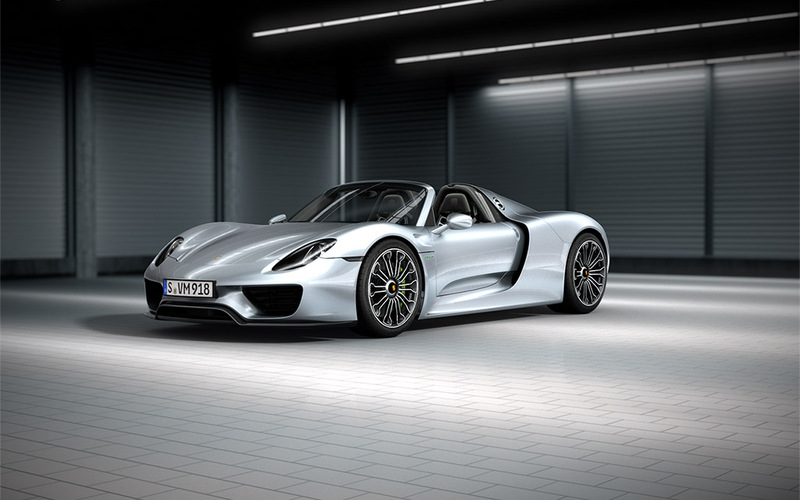 Every gramme really does matter, and this is proven by the series of additional technical measures taken by our race engineers to make the 918 Spyder with Weissach package even lighter. 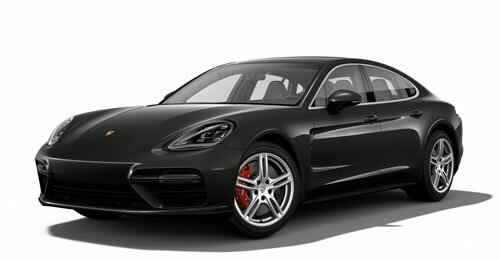 These include a weight-optimised brake system with titanium components, wheel bearings with ceramic balls, a CFRP anti-roll bar at the rear axle and a CFRP prop on the luggage compartment lid in place of a gas-charged strut. There are also some variations on the standard specification, such as the deletion of the audio system or air conditioning. Both features are still available on request at no extra cost. The requirement for the interior was clear: materials must be practical – and absolutely exquisite. The fact that they feel as if they were made for motorsport is no coincidence either. Carbon is the dominant material here. 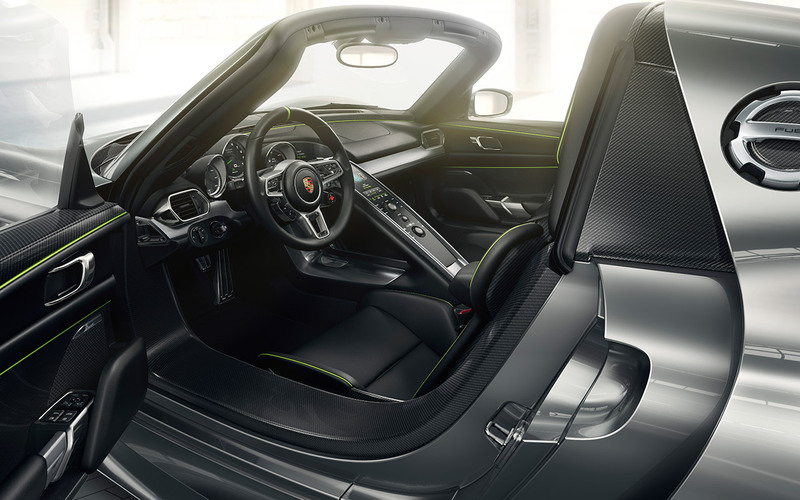 It demonstrates how the 918 Spyder with Weissach package follows the purist approach of our designers and their belief that fundamental materials should also be visible in the interior. And they should save weight. That’s why the centre section of the dashboard, the centre console surround, the door pulls and the gearshift paddles on the sports steering wheel have been given a carbon-weave finish. Alcantara is a frequently used material in motorsport, not least because it is easy to grip and extremely hard-wearing. In the 918 Spyder with Weissach package, it adorns the steering wheel rim, armrest in the centre console and, if so desired, the seat centres. 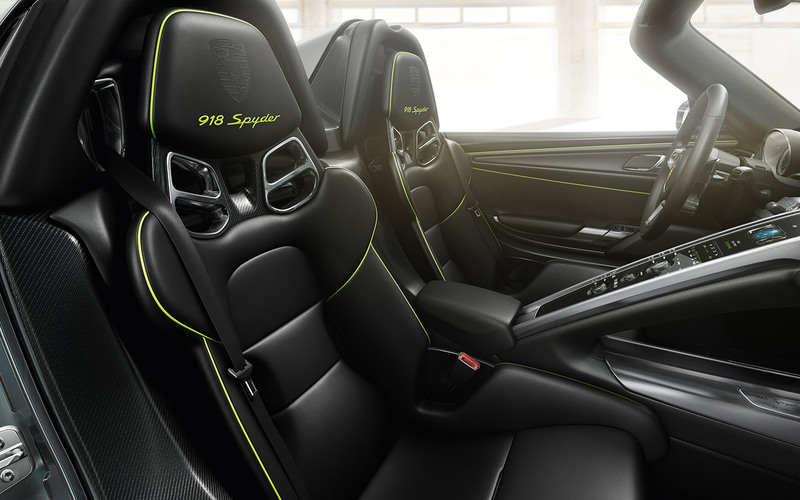 Other interior features of the 918 Spyder with Weissach package include seat upholstery in flame-retardant fabric, door opening loops in black and, also in black, six-point racing harnesses supplied ready to install for driver and passenger. Combined, all these measures deliver a considerable weight advantage. This in turn further enhances performance as well as efficiency. On the Northern Loop of the Nürburgring, it saves further critical seconds. 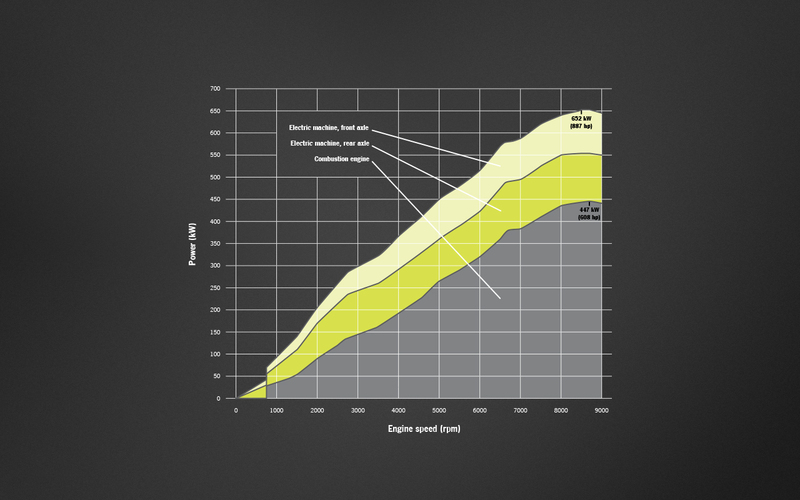 On the road, it opens up even more potential for achieving comparatively low fuel consumption. 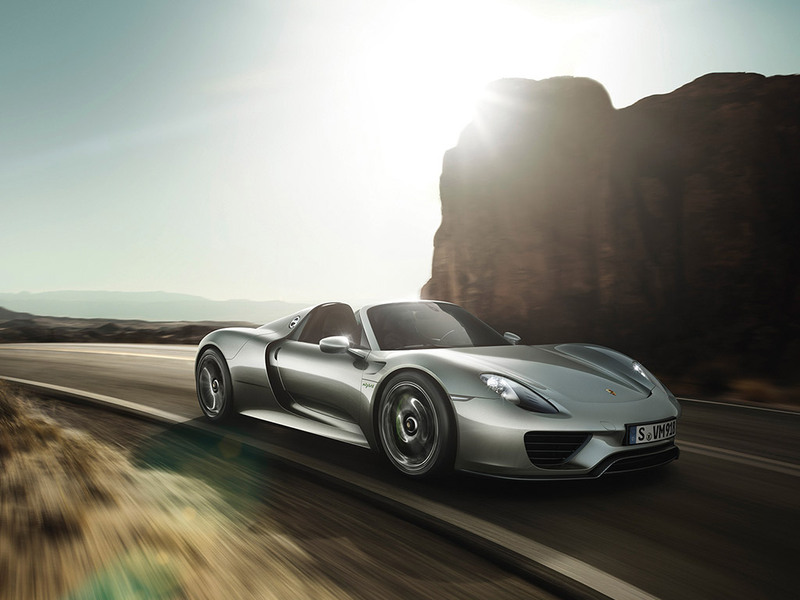 In the 918 Spyder with Weissach package, you can turn this advantage into driving pleasure. One to one and one on one. 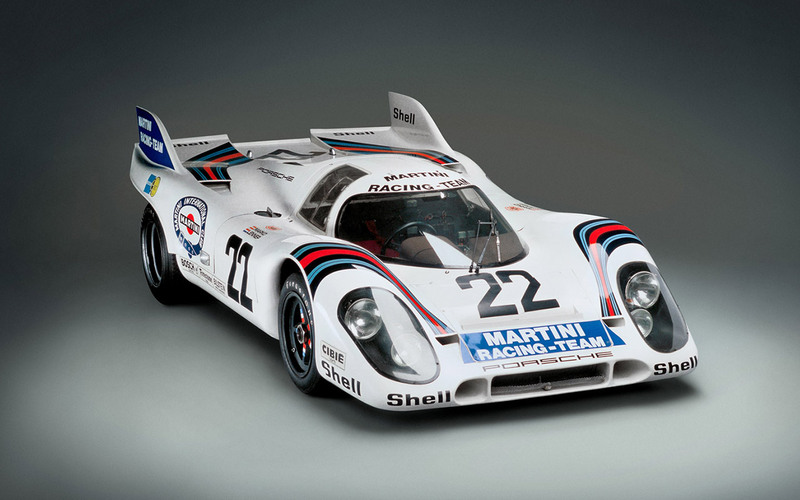 For legal reasons, the MARTINI RACING design package is not available in some countries. We would also like to point out that importing a vehicle with Martini Racing design or moving a vehicle with Martini Racing design on public roads in these countries could have legal consequences. 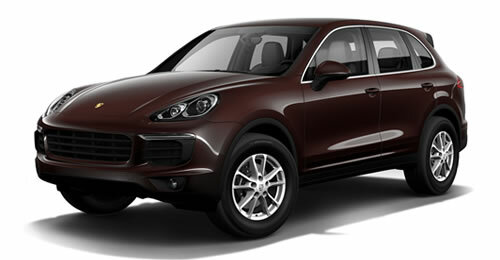 For further information, please consult your Porsche Centre.